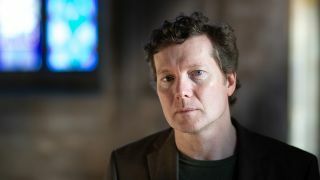 Tim Bowness has confirmed that he’ll release a new album early next year. The follow-up to 2017’s Lost In The Ghost Light is titled Flowers At The Scene and it’ll arrive on March 1 via InsideOut Music on CD, LP/CD and on digital platforms. Bowness says: “Lost In The Ghost Light – which was always intended as a one-off – felt like a perfect conclusion to a particular way of writing and working. In the wake of that, Flowers At The Scene very much feels like a press reset. “It was an exciting project to put together and it was great working closely with old sparring partners, Brian Hulse and Steven Wilson. Steven was initially brought in to mix the album, but very quickly he was doing far more and developing production ideas alongside Brian and I.
Bowness continues: “Elsewhere, the likes of Fates Warning’s Jim Matheos, Colin Edwin, Dylan Howe and Tom Atherton delivered some incredible performances and it was a delight to get Peter Hammill, Kevin Godley, Andy Partridge and David Longdon involved. Flowers At The Scene also features contributions from Ian Dixon, Tom Atherton, Dylan Howe, David K Jones, Fran Broady and Charles Grimsdale, while Jarrod Gosling created the cover art.